Burgess may be the most underrated Puritan of all time. Seventeenth-century Puritans Anthony Burgess is your best source on Original Sin. Probably one of the greatest books ever written on the deceitfulness of the human heart. The book is a masterpiece on the heart’s deceitfulness in sin, and formality and hypocrisy in religion. Anthony Burgess’ work pierces to the depths of the soul in exposing false religion and the worthless props men lean on to justify themselves before God. He was a master in understanding the heart of man and true and false conversion. . 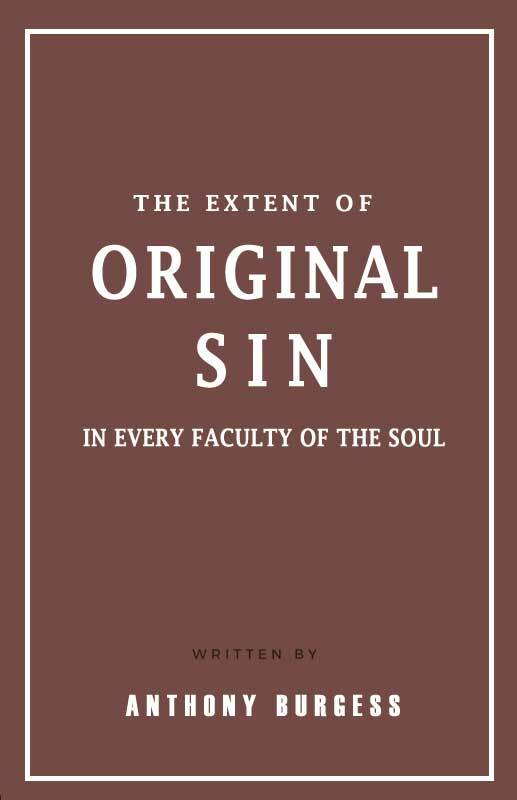 This eBook come from his best and largest work which includes A Treatise of Sin, with its Causes, Differences, Mitigations and Aggravations, originally containing 42 sermons. 3) a judicial blindness inflicted on them by God, for abuse of natural light. These there are mentioned in the 18th verse. And in verse 19 we have the formidable consequence declared, that being past feeling, no remorse of conscience in them, they give up themselves to all wickedness with greediness.